Getting the right information and advice is the first step to getting the right care and support. 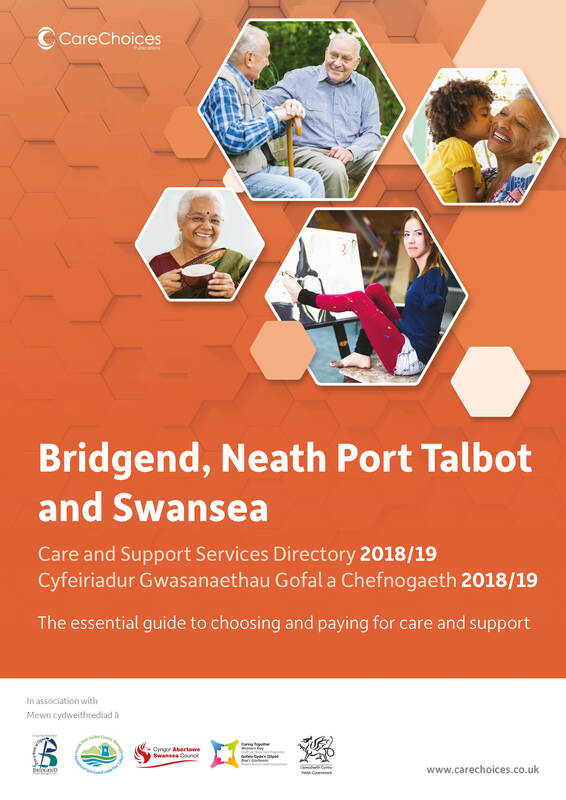 The Bridgend, Neath Port Talbot and Swansea Care and Support Services Directory 2018/19 offers a comprehensive guide to choosing and paying for care services. It features a long list of residential and home care providers, specialist services and useful contacts to help adults with care are support needs to make choices that are right for them. The directory, which can be found here, has been compiled by Care Choices (www.carechoices.co.uk) with input from the Care Inspectorate Wales (CIW), Bridgend County Borough Council, Neath Port Talbot County Borough Council and Swansea Council. Please feel free to circulate the link, and hard copies are available on request via the Western Bay Programme Office (telephone 01792 633805, or email western.bay@swansea.gov.uk).